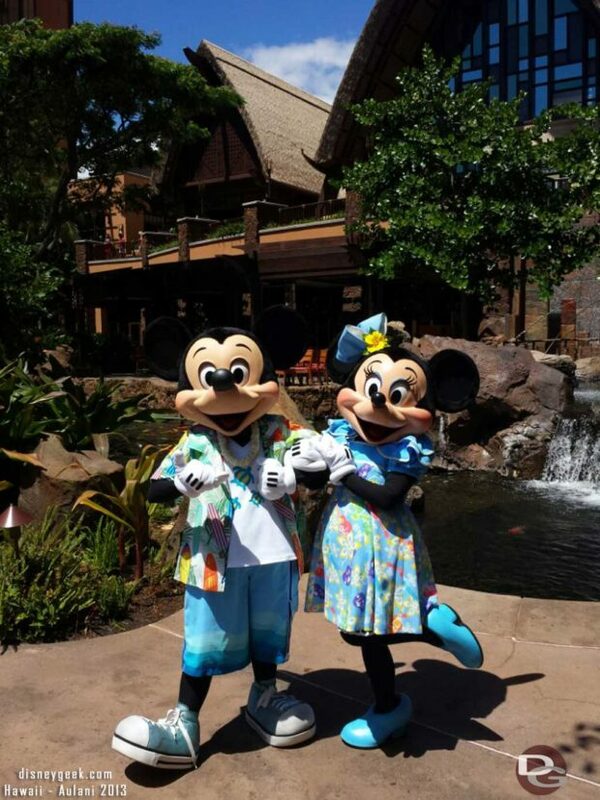 Wednesday August 28, 2013 – Our second day at Aulani started way too early in the morning. Thanks to the time change I was wide awake before 4:00am.. but managed to convince myself to at least stay in bed till 5ish. I was up, ate something, and ready to go out and take some pictures by 6:00am as the sun was rising. I ventured out into Waikolohe Valley as soon as it was getting light. 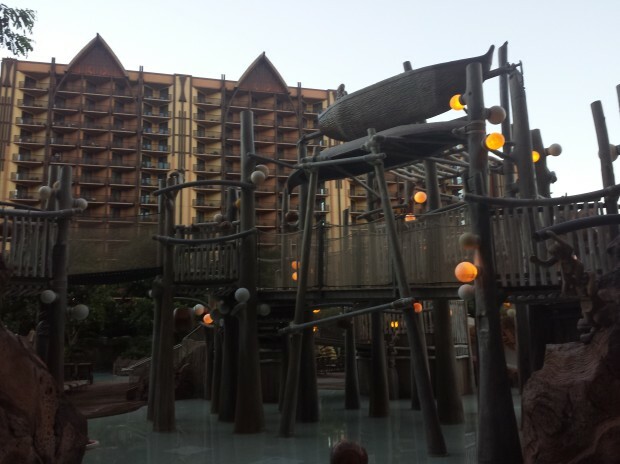 As the sun continued to rise I wandered around the pool area taking pictures since there were very few other guests in the area and looked for some Menehune. I circled around the pool area several times taking pictures and just exploring the walkways looking for some interesting pictures. I eventually made my way out to the lagoon/beach. After relaxing a bit it was closing in on 8:00am finally and the opening of Waikolohe Stream and Pu’u Kilo Slides. I stored the good SLR camera back in the room and switched to my water proof camera for some lazy river pictures (those will go in the full update). Here is a clip floating along the Waikolohe Stream. About 9:30 I headed back to the room to get the camera and wandered around the Lagoon to get some pictures from the other side while waiting for the Lazygeek’s family to arrive. While across the lagoon a look down the coast line. After completing the indoor one we ventured outside to the longer outdoor one. We took a break around noon and headed to Mama’s Snack Shack for lunch. 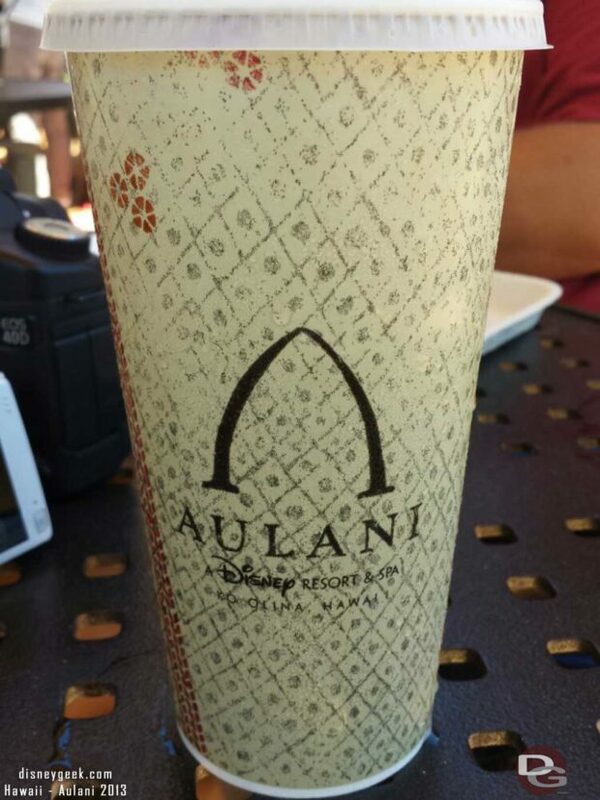 Interesting note, Aulani has its own paper cups.. unlike Walt Disney World and Disneyland that share a generic Disney Parks logo/design recently. After lunch it was back to the community hall and on the Menehune trail again. 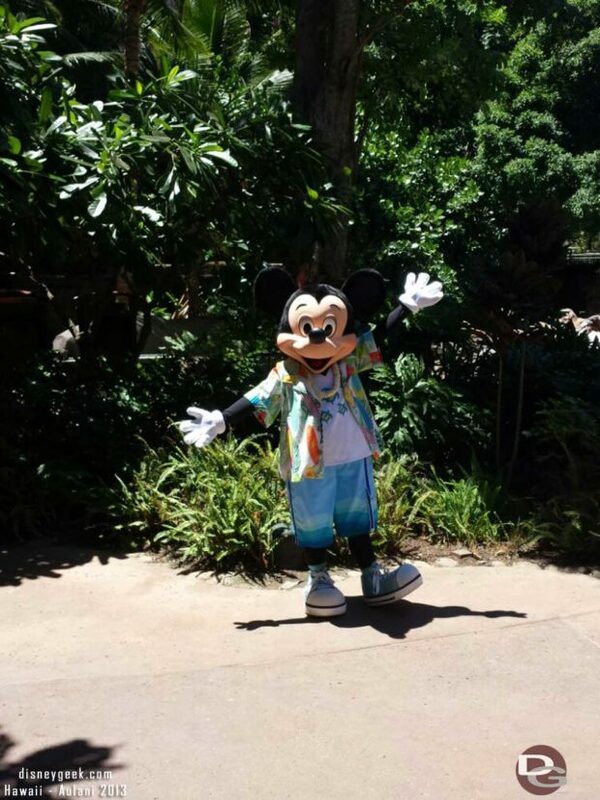 We crossed paths with Mickey several times, stopping for a picture a couple of them. The adventure took us back and fourth and around the Waikolohe Valley several times.. after what seemed like the 50th time we decided to pause our game for the day and take a break. We caught up with the rest of our group in the community hall then headed for the Aloha Fun with Disney Friends event happening on the Kipuka Lawn. This was a small astro-turf area near the ballrooms, above the valet parking garage. 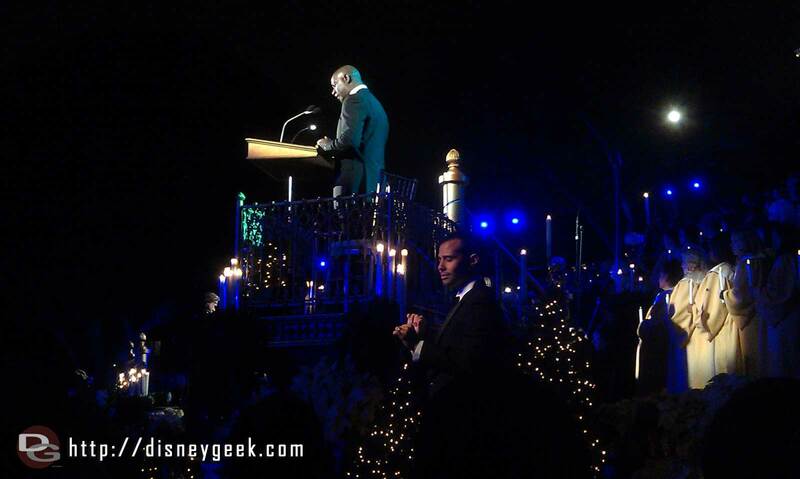 It consisted of several cast members leading kids through a series of games and then Chip and Dale joining the fun. After the Aloha Fun we decided it was dinner time and ended up walking across the street to see what was in the small shopping center. Decided on pizza then back to Aulani for sunset. Unfortunately due to the clouds I did not think it was going to be that good so I did not hike to a corner but instead took this picture from the middle of the beach area. Throughout the day they were taking down construction walls around the expansion area. You could get some clear views into the new area that is looking close to complete. I was really hoping to see some of it opened for the 2nd anniversary of Aulani (which is the 29th, Thursday). I spent the next hour or so roaming around taking some pictures and enjoying some of the groups performing around the resort before heading back to the room to copy pictures and write this blog before calling it a night. The time change issue is a good news/bad news situation. Bad news is I was up well before the sun. Good news is by sunrise I was ready to walk around and take pictures in the peaceful morning environment. The Waikolohe Stream and Pu’u Kilo Slides were great! 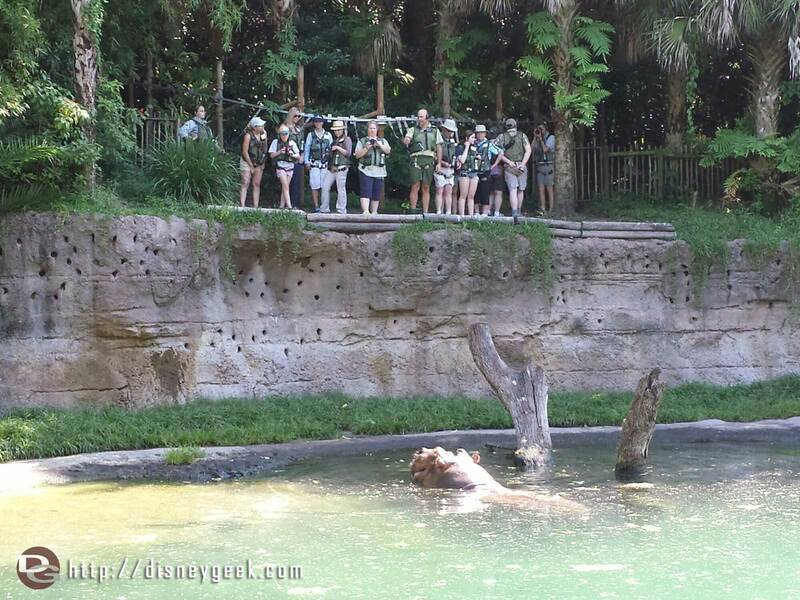 The stream is your typical lazy river type attraction but having it in your resort steps from your room is perfect. I did the tube slide several times and was surprised by how long it seemed and decent speed it got. I was expecting something much less and was pleasantly suprised. 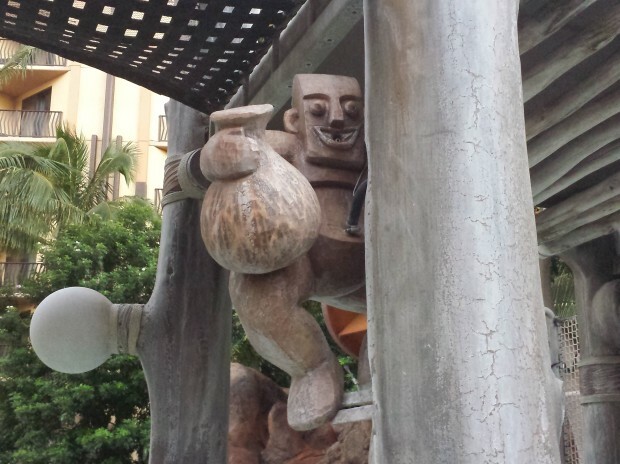 The Menehune Adventure game was a lot more involved than I had anticipated. We completed the interior one that takes place around the lobby area mostly in no time at all then went back and signed up for the longer outdoor one. This one seemed to go on forever. I still have not finished it. The good news is you can come back and continue at any time, it saves your place. 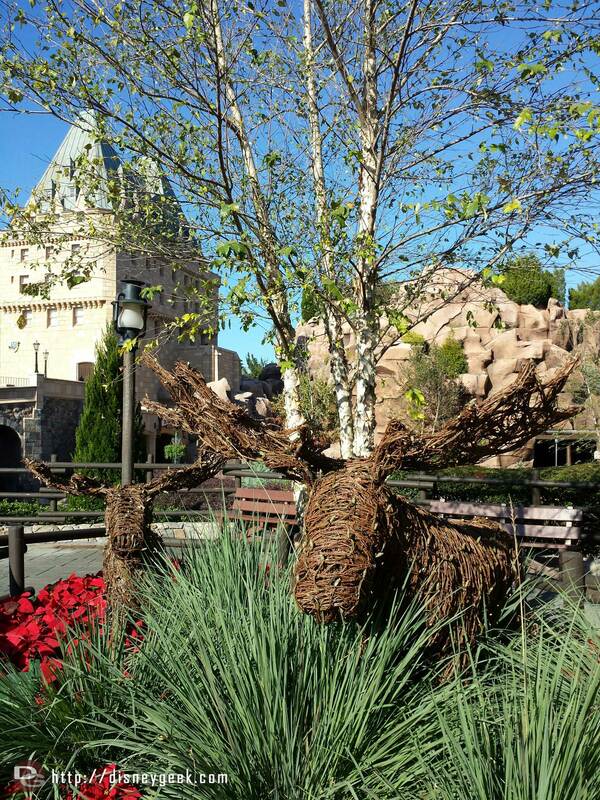 I thought the game was well done and integrates nicely into the resort. I found some of the video to be on the long side and I wanted to keep moving or go to a cooler area and it just kept on going. I had the Lazygeek’s six year old son with me and he loved it. It held his interest throughout till the head of the day started to set in. The Aloha Fun with Disney Friends was a nice kids activity. Since it was listed for the entire family I thought it would be some characters dancing and picture opps. Instead it was a kids activity and Chip/Dale made an appearance. Our six year old “test subject” really enjoyed it. I thought it had some fun elements but if you did not have a kid from your group in it I would think it would be awkward at best. I would have liked to have seen more of an explanation of it in the daily planner.